MESA Mentors are a group of C-level executives with hands-on experience running software companies at all stages of growth and a shared passion for mentoring. They hail from such companies as Retek, Gearworks, Packeteer, Identix, PayMyBills.com, Unimax, Lighthouse1 and HighJump. Together, they bring decades of “in the trenches” wisdom and experience to emerging software CEOs that spans leadership team formation and development, sales and marketing strategy and execution, overcoming operational challenges, raising capital, building and managing boards, driving revenue growth, and achieving outstanding liquidity outcomes. Dave is an entrepreneurial executive with over 20 years of global technology leadership experience. He was a co-founder of SportsData LLC (now Sportradar) leading the startup through inception, fundraising, tremendous growth and acquisition. Sportradar is now the world’s leading sports content provider capturing and distributing extensive statistical and tracking data for the NFL, NHL, NBA, NASCAR and 70+ federations globally. Prior to Sportradar, Dave held numerous technology leadership positons and was the founding CTO of Internet Broadcasting. He has a BS in Computer Science from the University of Minnesota Institute of Technology along with an MBA in Finance from the University of St. Thomas. Tim Bates runs the Exponential Group, a fifteen-year-old company that works with young, early-stage technology businesses in the US, Europe, and Asia developing and bringing to market product and services in the areas of mobile, digital imaging, SaaS, big data and IOT technologies. Tim started as a software engineer and was the inventor or co-developer of a number of leading-edge computer graphic software systems. He then moved on to managing, running, and starting technology companies that pioneered digital cameras, SaaS services, advanced database systems and e-commerce solutions helping them develop and build markets. Over the last 25 years, he has been part of senior management teams that have raised close to $50 million in early-stage venture money with investors in the US, Europe, and Asia. Tim is currently a board member or advisor to a number of companies and works with others as a mentor. He has a BA in Mathematics from St. Olaf College and an MBA from the University of St. Thomas. 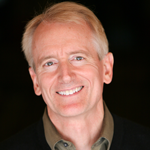 Joe has 30 years of software leadership experience spanning sales, operations and finance. His past roles have included: reviewing controls and security of software systems and processes for domestic and international divisions of Honeywell; various sales and sales management roles for a vertically specific software division of ADP which grew 4X over the course of his tenure; and GM, CFO and COO roles at HighJump Software as it grew from $10M to $90M through both organic and acquisition based growth. 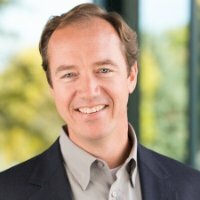 His most recent role has been as CEO of ProcessPro Software where he directed a significant turnaround effort and the ultimate sale of the business in January 2016 to Open Systems, Inc. Joe has received a BSB in Accounting and an MBA in Marketing form the Carlson School of Management at the University of Minnesota. Mark Casey is a successful executive sales leader in the high tech industry. He has pioneered markets in AI, SaaS, cloud computing, software, mobile, analytics and consulting sectors. Mark is adept at developing business models and establishing strategic partnerships resulting in significant revenue creation. Recent accomplishments include holding an executive leadership role in a mobile technology firm that was acquired by Yahoo. Mark holds a BS from the Carlson School of Management, University of Minnesota, and lives in Orono. Daren is the Founder and CEO of InboxDollars, a marketing technology company that rewards consumers for their online and mobile activities. He founded the company from a dorm room in 2000 and has led the company to 50 employees and $25 million annual revenue, with no outside investment capital. Daren is an active supporter of the MN tech community as a mentor, advisor, and angel investor. He is knowledgeable in the areas of Consumer Internet, Online Advertising, Marketplaces, Mobile, SaaS, Bootstrapping, and Raising Capital. 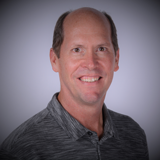 John Fox, Executive Vice President, SWAT Solutions, Inc.
John has acquired over 30 years of experience in the software industry while working for several prominent Twin Cities companies such as Unisys, Young America Corp, and Wilson Learning. John was also a co-founder of Boomerang Marketing, an Internet-based incentive company. Fox is a graduate of Gustavus Adolphus College in St. Peter, MN and holds a BA degree in Psychology & Computer Science. Fox envisions his mission as enhancing the quality, stability and performance of software usage, thereby preventing costly failures and unnecessary downtime. Fox recently published Digital Work in an Analog World, a book that explores the role of psychology in software engineering and software quality and he speaks frequently on the topic as well. John has held nearly every position in the software development realm over the course of his career. Angie Franks has over 25 years of technology leadership experience ranging from sales and marketing for a pre-revenue start-up in Kansas City to CEO of a hospital information systems company. Currently, Angie is CEO of Central Logic. Before that, Angie was the Chief Marketing Officer for SportsEngine, a division of NBC Sports. SportsEngine is a technology company serving the youth and amateur sports industry. Her responsibilities included overall leadership for the brand, communications, marketing and product functions. Prior to SportsEngine, Angie was President and CEO of Healthland, a national leader in providing information systems designed specifically for rural hospitals. Owned by Francisco Partners, a private equity firm based in San Francisco, Angie led dramatic results in growth, visibility and success for Healthland. Under her leadership the company grew at a 30% CAGR. The company was also recognized by Twin City Business magazine as a 2012 Small Business Success story winner. Angie spent seven years as vice president of market development for Lawson Software. She also held leadership positions at GeoAccess (now owned by Optum), Healtheast and Medic Computer Systems. Angie and her family reside in the Twin Cities. 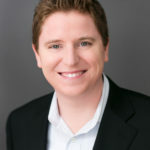 Jeff has founded and led several successful organizations in the Software-as-a-Service, Consumer Engagement, and Digital Media sectors over the past 20 years. In 1995, he received industry recognition for an employee benefits firm that revolutionized how employee benefits are purchased. In 2003 Jeff created Lighthouse1 (now Evolution1), which launched a new technology model for the consumer driven healthcare industry. This new Consumer Driven Healthcare Software-as-a-Service Platform paved the way for transformation in the healthcare finance industry. Jeff serves on several Boards of Directors including the Chairman position of Cahill Adams, a firm that provides strategic leadership, capital investment and business acceleration for growing companies. He is also the President of the Minnesota Chapter for Entrepreneur Organization (EO), a Global Entrepreneur executive organization. George Hadjiyanis has over 20 years of business development and marketing leadership experience with emerging software, SaaS and managed service providers. George’s passion is to uncover the critical needs of customers and deliver the right solution to help them meet their strategic goals. George has led companies to be frontrunners in their respective industries via thought leadership strategies. George was the VP of Sales and Marketing for cloud management software provider Enstratius from the launch of the company through its eventual acquisition by Dell. During his leadership, the company secured numerous Fortune 500 customers and became positioned as an industry-leader including being honored with the Gartner Cool Vendor award. Post acquisition, George led the Dell cloud management sales and marketing organization. Prior to Enstratius, George held marketing, product management, and sales operations leadership positions for various managed services companies including Agiliti, Zomax, and WAM!NET. George has also been recognized as a Top 100 Blogger on Cloud Computing, was a Yahoo Big Idea Marketing Award finalist, and has spoken at global marketing and technology conferences. George holds a Bachelor of Electrical Engineering and an MBA in Strategic Management from the University of Minnesota. Paul has over 30 years of experience as a business and technology leader, with 14+ years as a Chief Operating Officer and Chief Information Officer. He has founded or co-founded small businesses as well as developed successful teams at mid to large organizations. Career highlights include raising over $30M in venture funding for two software startups. Paul was awarded his first patent in 2012. Paul is currently a member of the executive management team of Opportunity Partners, one of the largest social services agencies in Minnesota which supports nearly 2,000 people with disabilities each year. He leads the technology team serving 650+ users and managing over 30 locations. Paul mentors high tech startups in the Minnesota Cup and serves as an advisor to several other tech startups. 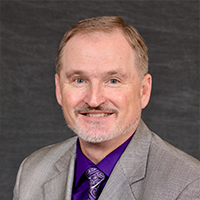 He received Bachelor of Science degree from Minnesota State University Mankato in 1984, with a major in Computer Science and a minor in Business Administration, and resides in Eden Prairie with his family. Jack Hauser, Chief Financial Officer, LogicStream Health, Inc.
After completing his undergraduate degree at Drake and receiving an MBA at the Kellogg Graduate School of Management at Northwestern University, Jack Hauser held roles with Ernst & Young, US Bancorp and Hanrow Financial Group before joining Andcor Companies in 1995. In his seven years with Andcor Hauser provided executive search and strategic human resource consulting services to emerging growth companies and reviewed business plans of selected clients to assess overall viability and determine candidates for investment. In 2003, Hauser joined ABILITY Network Inc. as the Chief Financial Officer, a role he held until 2014. In May 2014, ABILITY Network was sold to a group of private investors led by Summit Partners for $550 million. In January 2015, Hauser joined LogicStream Health, Inc. as Chief Financial Officer. Rob has over 15 years of executive experience in startup, early and growth stage software companies focusing on business to business products. Rob recently transitioned into an executive role at Ivanti as VP of Engineering after the Shavlik Business unit was purchased from VMware. At VMware he was Senior Director of R&D for the SMB Solutions team which he joined after Shavlik Technologies was acquired by VMware in 2011. He served as Shavlik’s Vice President of Engineering and Technology Operations prior to the acquisition. Prior to Shavlik, Rob co-founded Gearworks and served as their Chief Technology Officer before it was acquired by Xora (now ClickSoftware). Rob brings a wealth of knowledge in the areas of software development, quality assurance, software architecture, SaaS based solutions, mobility, channel development, business partnerships and team development. Dan has over 20 years of experience as CFO with fast growing companies. Most recently he has been part of the team that rapidly grew local software maker SportsEngine culminating in an acquisition by NBC Sports in July 2016. He also led the IPO of Datalink Corporation and helped grow Shavlik Technologies until it was acquired by VMware, Inc. in May 2011. Dan was also the General Manager & CFO at JAMF Software – another rising star in the Twin City software community. Dan’s specialty is helping organizations develop the capabilities needed to get to the next level of market success. In 2015, Dan was named CFO of the Year by the Minneapolis/St. Paul Business Journal. Dan is a CPA and holds a bachelor of arts degree from the University of St. Thomas. 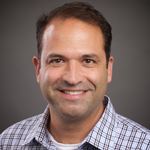 Todd has over 25 years of executive experience in startup, early, and growth stage software-driven companies. His expertise spans strategy formation, sales and marketing, strategic partnerships, capitalization, M&A, and team development. He recently returned to the Silicon Valley to partner his former Packeteer CEO as CMO of Pertino, a software-defined cloud networking startup (acquired by Cradlepoint). Previously, he served as COO of Red Lambda, a big data security startup. As President and CEO of Minnesota-based Gearworks, Todd orchestrated a turn-around, raised over $40 million in venture capital, and led the company to the rank of the fastest growing industry player before it was acquired by Xora (now ClickSoftware). Prior to Gearworks, he was VP of Worldwide Marketing at Packeteer (IPO) and also served as VP of Marketing at Sync (IPO). 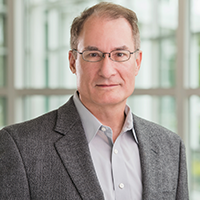 As an innovator and mentor, Todd was nominated for the 2009 Ernst & Young Entrepreneur of the Year Award, holds two patents on application-intelligent networks, and sits on several technology and private company boards. Mr. Leestma is a Partner and Chairman of the Board of Owners for Forthright Solutions, a solution provider for regulatory and legal compliance programs. Marty has 30 years of top-level strategic business experience where his career has focused on large-scale transformation initiatives with various companies and he has deep experience and expertise across the value creation life cycle, including: formulating the executive agenda, creating and executing high-impact business solutions, and enhancing client capabilities through enterprise re-engineering. At Forthright Leestma has served as Chairman since 2008 and was Chief Executive Officer from 2011 until 2014. Prior to Forthright, Marty served as the President, Chief Executive Officer, and a member of the board of directors for Retek Information Systems, during which time Retek was a publicly traded company until it was acquired by Oracle for $700 million. 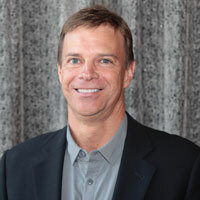 Prior to joining Retek, Marty spent 23 years at Accenture where he was Global Managing Partner of Retail Technology from 1996 to 1999, Managing Partner of North American Consumer Goods & Services from 1999 to 2002, and Global Industry Managing Partner – Retail & CG&S industries where he served in this role until his departure in 2003. From 2005 to 2008, he served as an independent business consultant. 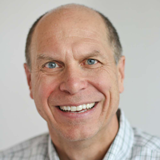 Marty is currently a board member at Kipsu and SPS Commerce, and he is also a mentor with Minnesota Emerging Software Advisory (MESA). His philanthropic interests include volunteering with Social Venture Partners and Genesys Works, organizations that serve at risk teenagers. Marty received his Bachelor of Science degree in Industrial Management & Computer Sciences from Purdue University. Kent has spent the past 30 years working with emerging growth companies as a financial officer or director. He has been very fortunate to work with some outstanding entrepreneurs and teams as CFO of CyberOptics, Fargo Electronics, MinuteClinic and Field Nation. Kent’s interests and experience cover strategy, product management, financial management, operations and organizational development. Over his career, he has been a key contributor to corporate finance and acquisition transactions totaling $1.0B. Kent has a bachelor of science degree in accounting from the University of South Dakota, an MBA from the University of Minnesota and was named CFO of the Year by the Minneapolis/St. Paul Business Journal in 2017. Jim Moar, CEO (retired), OptiMine Software, Inc.
Jim has a substantial track record in growing companies quickly and organically, both public and private, both technology and industrial companies, and both mid-sized companies and start-ups. OptiMine is an exciting SaaS-based, start-up company that is “best of breed” in optimizing digital advertising results and with substantial growth opportunity. For OptiMine, Jim raised $12M in VC money in a 3-year period. Previously, as COO of Identix, Jim led a turnaround doubling revenue to $90M in less than 3 years and transforming a $25M EBITDA loss to EBITDA profitability. Identix was then sold for $775M, over 70 times forward EBITDA. 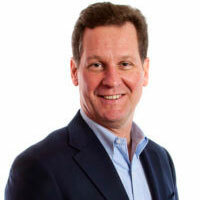 Jim has also been the COO or President of DataCard, Tennant, and Liquipak and the CEO of Reshare Commerce. Jim focuses on identifying the greatest points of leverage to quickly improve results, team-developed strategies, and execution. John Moroney is a sales management executive with over 35 years of experience in high technology products and services. He is a partner with Acumen Management Group, a sales management consulting firm. He sold, managed and led as an executive, enterprise software companies including Fourth Shift (Infor) and Digital Market (Agile/Oracle). Before entering the software industry, he led manufacturing operations at high technology companies in the medical (Phillips), semiconductor (Texas Instruments) and computer industries. John is also a reformed engineer and lives in Mendota Heights. Brian has over 25 years experience leading and building technology and services companies primarily focused on serving Enterprise clients. For the past 20 years Brian has served a variety of company executive and sales leadership roles for technology businesses within Taylor Corporation. Currently Brian is leading a portfolio of technology businesses and solutions within the Taylor Customer Facing Technology Sector. Growing businesses, solving complex client problems, and adjusting quickly to market, client and employee needs are a just a few of the passions that drive Brian on a daily basis. Brian currently resides in Waconia with his wife and four children. Mike Rusinko is a creative business executive who has worked for and with some of the premier brands in the world. In his nearly thirty years with Accenture, Rusinko has led and managed regional and global efforts that have focused on driving revenue growth by transforming business practices and building enduring relationships. Rusinko brings the best practices of a globally renowned professional services firm and combines that with the heart of an entrepreneur. The combination results in creative and practical solutions to complex business challenges across a wide variety of industries. Rusinko’s engaged management style is a large reason for his success as are his commitment to team and professionalism. These attributes have resulted in his ability to work across the expanse of Accenture’s extensive business offerings, global operations and client base. 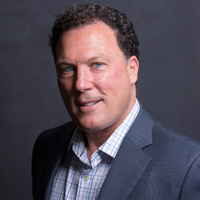 Kevin possesses a track record of providing resources to technology companies with core competencies in business development and talent acquisition, but also acting as a business catalyst to connect clients to investor communities, customers, partners, and other technical resources. He acts as a “Trusted Adviser” to software companies at various stages of growth. Kevin has built some of the strongest relationships as anyone in Minnesota’s software industry, with a particular emphasis in the security arena. He holds Bachelor of Science degrees in Computer Science & Mathematics, along with an MBA from the University of Wisconsin – Oshkosh. Barbara is a seasoned operating executive with over 25 years experience in enterprise and consumer markets, with P&L experience globally, managing start ups to $4B in businesses, with 3,000+ employees. She has developed best practices while at Hewlett Packard, and has progressed through her career, holding positions including CEO, President, COO, CSO, EVP, and Founder of her own firm. She has led companies from public to private, driven significant turns for investors, and delivered EBITDA results beyond goals. Barb has led small and large mergers and acquisitions such as the HP/Compaq integration, and directed global business units, bringing a strong, global network of relationships and partnerships to help companies expand internationally. Barbara holds degrees in Computer Science and International Business (languages and negotiations focus) from the University of Wisconsin. John is an entrepreneur, chief executive and company director with 15 years’ experience building and running venture-backed technology businesses. He is the founder of three SaaS companies providing information services, financial services and location-based services to both businesses and consumers. He has an established track record in identifying market opportunities, building world-class teams and delivering award winning products and services to market across a variety of industries, including commercial real estate, payments and mobile/wireless. John graduated from Fairfield University in Connecticut with a bachelor’s degree in finance and accounting and from The Wharton School at the University of Pennsylvania with an MBA in entrepreneurship and information strategy. Troy has spent the past 17 years in go-to-market leadership positions at technology companies. Leading Sales & Marketing, Product & Technology teams at smaller, high growth businesses and large multinational technology providers, Troy’s passion for identifying market needs, addressing those needs with compelling technology offerings and driving customer delight to fuel business growth have lead to repeatable business success. Troy’s experiences include B2B and B2C, with a strong expertise in Software as a Service (SaaS) business models. Most recently, Troy helped lead Sovos Compliance from a 40 employee tax compliance technology business to a 700 employee business-to-government regulatory technology provider across 3 continents. Prior to Ascentis, Troy held leadership roles at Sovos, Concur, Gelco and Honeywell. Troy takes his greatest reward from helping grow talent, build high performance teams, and loves opportunities to make “dry” or technical industries interesting and meaningful. Jason has more than 20 years of senior leadership experience in high growth technology businesses. He co-founded his first company at the age of 24, a boutique technology consulting firm which was acquired three years later. More recently Jason led global Sales and Alliances at Shavlik Technologies until it was acquired by VMware, Inc. in 2011 where he served as Sr. Director, Sales. Jason joined JAMF Software in 2012 where he led global Sales & Marketing prior to joining Delaget in 2015 as CEO. Delaget, a 2015 Eureka! Award winner, is a SaaS analytics company, leveraging Big Data in the restaurant vertical to improve operations, minimize loss and deliver revenue and profitability growth. Jason holds a BA in Biology from St. Olaf College. Bob’s a technology industry leader who sets organizational strategy, attracts, inspires and manages high performing teams, exercises strong judgment, and acts with integrity to consistently deliver results. Bob is passionate about digital transformation and the Internet of Things (IoT). Bob’s early career experience was gained with Retek, a retail ERP software company where he was promoted across many leadership roles in sales and general management. Retek experienced rapid growth, had a successful IPO, and was sold to Oracle. At Vcommerce, a SaaS enterprise ecommerce platform, Bob took on the role of President and CEO leading a turn-around, capital raise process, and sale of the company. Bob next led field operations for Verisae, a SaaS field workforce, maintenance and IoT platform that experienced two successful sales to leading private equity firms. 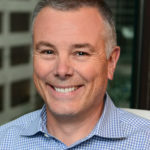 Presently, Bob is President and CEO of Agile Frameworks, a rapidly growing SaaS construction technology company based here in the Twin Cities. Bob is also a Senior Mentor for the Columbia University | Center for Technology Management Masters of Technology Management program.